Whether visiting family or going on a vacation, traveling can be a stressful experience. Long distance travel by car is already a very stressful experience for most people, especially kids as many of us have probably experienced. Sitting for hours in a cramped space isn’t really a very comfortable situation. Kids get bored and become very impatient during long travels. This leads to disruptive behavior, which in turn leads to an even more stressful situation. The same pattern of behavior happens to our disabled pets when they go with us on long trips. It is probably worse for them because the cramped space as well as the constant motion of the car is not really an environment to which your pet is accustomed. To keep them in this environment for a long period of time probably makes matters worse. For pets not used to traveling in a car, they can get motion sick, which is just the final straw for pet owners dealing with restless kids and their own fatigue. Traveling does not have to be a stressful situation for you and your traveling companions. If done properly, it can be a very happy and memorable event for the entire family including your pet. The key is to plan for it, and to prepare and practice your kids and pets before the scheduled trip. To help ease the situation during long trips, you should get them ready at least a few weeks before the scheduled trip. The goal is to get them accustomed to the new environment, your vehicle, in which they will be staying during the long trip. To do this, slowly make them feel comfortable staying and traveling in your vehicle. For your kids, make a list of things that will keep them entertained during the ride. Avoid anything that will make them motion sick, such as books or tablets. Bring their favorite toys, invest in some travel games such as Battleship or Monopoly, and download audio books appropriate for their age. The night before, make sure they get a good night’s sleep or they will be cranky a short time into the trip. You should also give any child prone to motion sickness an appropriate dose of child-safe motion sickness medication an hour before your scheduled departure. It will make everyone more comfortable. 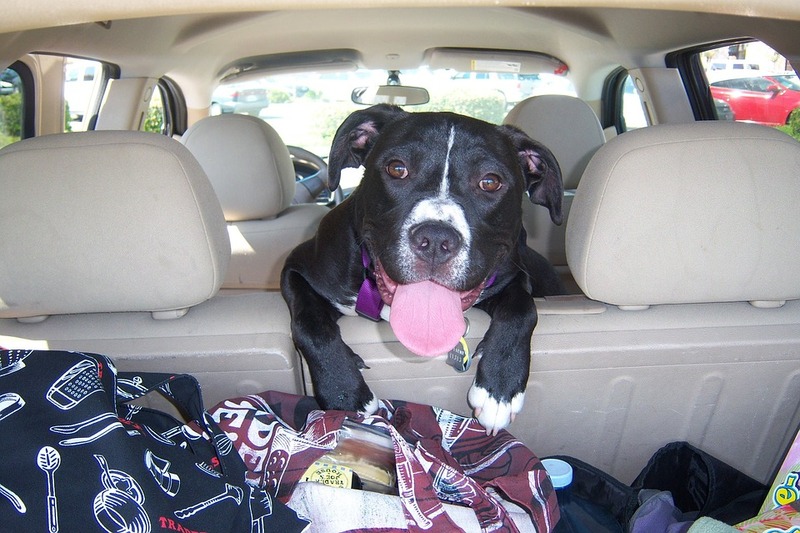 For your pet, plan what you will bring with you to make your pet feel comfortable in the car. Bring things that your pet is accustomed to using and having around at home such as your pet’s favorite toy or favorite pillow. If your pet sleeps in a sleeping basket or crate, use this as his area inside the car during your trip. A few weeks before the long drive, bring your pet and all the things you plan to bring for him, inside the car. If necessary keep the car doors and back compartment open so that he gets a feel of the car but still sees a familiar environment such as your yard and house. If you feel your pet is not yet comfortable being in the car, do not take him for a ride yet. Just let your pet get used to being in the car first. Keep doing this until your pet is ready, then take him for short rides at first. You can also take your pet with you during your daily routine trips such as to the shopping mall or to your kid’s school. During the trip itself, it would be a good idea to keep your pet in a secure but comfortable space away from your kids such as a sleeping crate or basket. This is to keep them from getting stepped on and also to prevent them from getting in the driver’s way. It is also important to set numerous pit stops during the trip to give your pet and your family time to stretch and relax.